Welcome to ‘France et Moi’ where this week I am talking to author Helen Pollard about what France means to her. 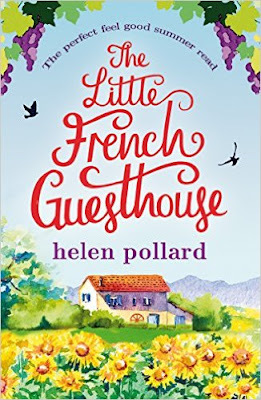 Helen’s novel The Little French Guesthouse was released yesterday and you can read my review here. As a child, Helen had a vivid imagination fuelled by her love of reading, so she started to create her own stories in a notebook. She still prefers fictional worlds to real life, believes characterisation is the key to a successful book, and enjoys infusing her writing with humour and heart. When she's not writing, Helen enjoys reading, decent coffee, scrapbooking and watching old seventies and eighties TV shows. Helen is a member of the Romantic Novelists' Association. Helen: I love the sense of space as you’re driving through the countryside (and less traffic!) I also like the impression of civic pride in the towns and villages – a feeling of community. And of course there is the appreciation of good food and wine, and a more relaxed way of life. 2) Your new novel The Little French Guesthouse is set in the French countryside, are gite holidays something you have enjoyed with your family? Helen: We first started holidaying in France every summer when the children were small, but we were camping – we had a trailer tent. Mainly we would visit Normandy, Brittany or the Loire region – I can’t stand too much heat, and as we had to go in the school holidays, the Loire is the furthest south I could manage! As the kids got older, the tent got too cramped (and we were fed up of putting the wretched thing up and down), so we sold it and started to stay in gîtes instead. We haven’t been quite as regularly for the last few years, but I’m keeping my fingers crossed for this year. 3) France has some beautiful cities and there are a few that constantly battle to be my favourite, what is your favourite French city and why? Helen: We haven’t visited a large number of French cities, tending to prefer smaller towns, but I particularly liked Rouen in Normandy – I thought the buildings were just fantastic. If I’m allowed to mention towns, Dinan in Brittany is very pretty, and we loved the atmosphere in Honfleur, Normandy - even though both can be rather touristy. 4) If money and commitments were no object where in France would you like to own a property and what sort of place would it be? Helen: I think it would have to be somewhere within driving distance of the sea, perhaps in Brittany. I love the little coastal villages and the beaches . . . although the weather can be variable, we found! Helen: Well, it would have to be the one coffee I allow myself each day, wouldn’t it? A large café crème! And if a fresh pain aux raisins happened to be available, I wouldn’t turn it down . . .
6) What is your favourite thing to treat yourself to in a French Boulangerie/Patisserie? Helen: Gosh, I mean, where would you start? I could spend hours just looking in the windows! If I were choosing a special treat, then I’d probably go for a fresh strawberry or raspberry tart, although I am rather partial to a tarte au citron . . .
7) Every region in France has it’s own culinary specialty, do you have a favourite regional dish? Helen: I can’t resist mussels in some variation of white wine and onion broth. Helen: Ha! I would say the soft, fresh and lively goat cheese . . . but since I can’t eat cheese, does that mean I have an intolerance to myself?! 9) Do you prefer French or New World wine? Helen: Ahem. Actually, I like Italian whites! But I would choose French over New World, definitely. 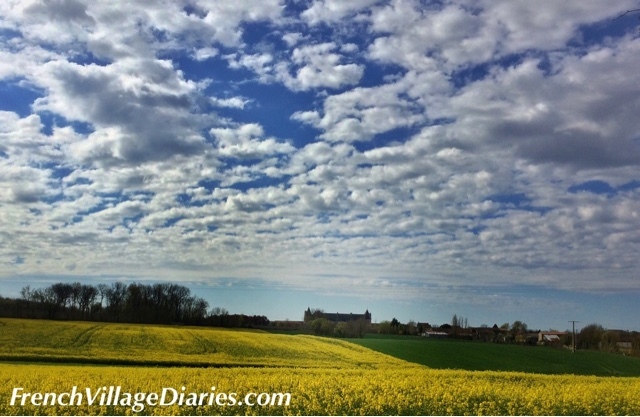 10) How does France inspire your writing? Can we expect to read more from the guesthouse La Cour des Roses? Helen: I had the opening scene for The Little French Guesthouse in my mind for a long time, but I didn’t do anything about it until we stayed at a particular gîte one year and I thought, ‘This is where it takes place!’ Once I could picture it in my mind, the rest of the story developed from there. France was the perfect setting – Emmy needs somewhere beautiful and relaxed where she can just ‘be’, giving her the opportunity to work out how she wants her life to move forwards. I developed the setting into somewhere imaginary, of course, but as I wrote, it became pretty real to me. I keep forgetting La Cour des Roses doesn’t exist! And yes, you can expect to read more! It is planned as a three-book series, and the second book is due out later this summer and then it will be onto Book 3. So I will be immersed in France and all things French for quite a while yet! FVD: Oh, now that makes me very happy! Thank you for taking the time to answer some questions about France and you. Helen: Thank you so much for having me as a guest on the blog! 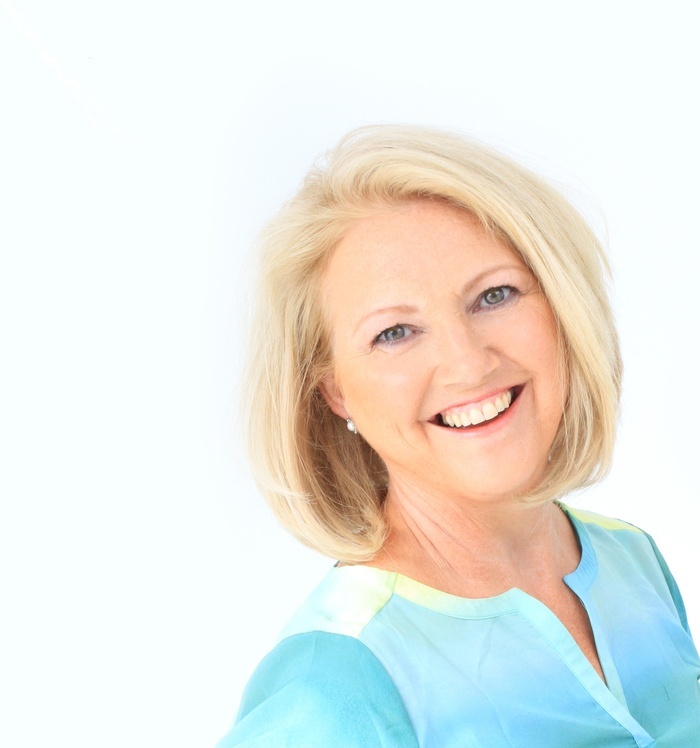 You can follow Helen on Twitter, Facebook at her website. My review today is for the brand new novel (with the prettiest of covers) The Little French Guesthouse by Helen Pollard, released today and currently only 99p for the kindle edition. A well-earned holiday in France is just what Emmy and Nathan need. Their relationship is struggling, but Emmy is sure it’s something that time away from work and routine can fix, until she finds Nathan and their B&B owner Gloria on the terrace in a rather compromising position. Angry and upset, Emmy tries to talk to Nathan, but instead he drives off into the distance, with Gloria. I liked Emmy, she was a genuinely nice person, wanting to make those around her happy and avoid conflict if possible, which wasn’t easy in the situation she found herself in. She needed to keep busy, which she did by helping owner Rupert, who had been abandoned by Gloria, to cook, clean and look after the guests, something he was struggling to do on his own. Rupert made me smile, his heart was always in the right place, but his ways and means were sometimes a little devious. Although Emmy and Rupert make an odd couple, they worked well as a team and slowly, life in rural France began to weave its magic on Emmy. Helen paints a lovely picture of the renovated stone guesthouse, La Cour des Roses, and I felt its charm and like Emmy, I fell in love with it and the flower filled gardens. In fact I was ready to pack my bags and head off for a few nights away, where the food and wine seem to be as good as the company. Emmy becomes part of Rupert’s social scene and appreciates the friendships she makes, and here Helen introduces a great fun mix of characters in the form of the locals and other expats. With a bit of scheming from Rupert and some unexpected interest from his gardener and accountant, Emmy begins to feel she has unexpectedly found somewhere she belongs. Reality for her though, is returning to a stark flat, a job (in the same company as Nathan – awkward) and no one to share her life with. She certainly has lots to think about, but will it be her heart, her head or Rupert that influence the decision to be made about her future? This book offers lots to make you smile at as you read and once I stepped in, I didn't want to leave. It is warm, cosy and will fill you with summer sunshine and unless you are going away as a last ditch attempt to salvage your relationship, will be a perfect holiday read! 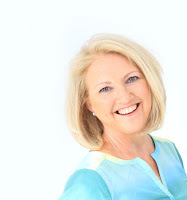 Please join me back here tomorrow where I will be chatting to Helen for my France et Moi interview feature. You can follow Helen on Twitter, Facebook and her website. We are home from our week of following La Sarthe à Vélo and although my legs are glad of the rest today, I am missing being out on our adventure and as for having a relaxing day, it hasn’t happened yet. 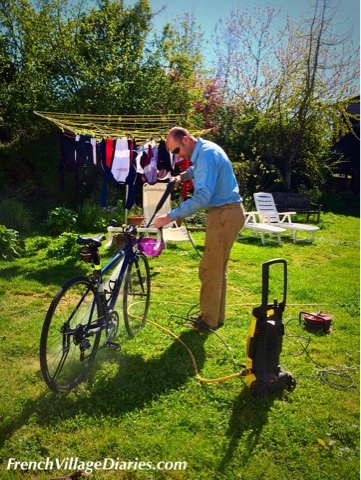 We were out this morning at 7.00am to take Ed to school, back before 8.00am to wave goodbye to Adrian’s parents who bravely held the fort while we were away and by lunchtime we had walked the dog, hung out the freshly washed cycle clothes and jet-washed the bikes. 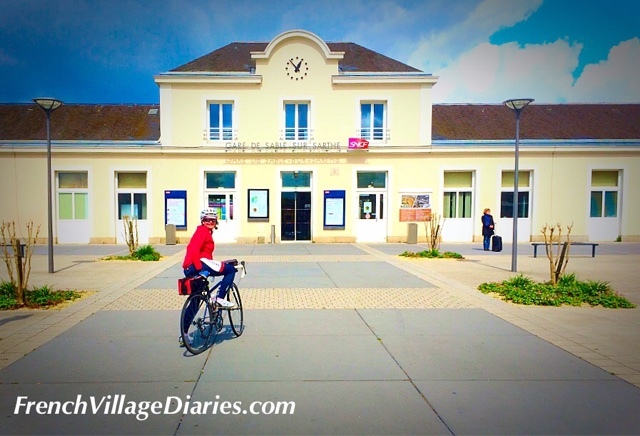 You can read my daily reports for Free Wheeling France by clicking here, but I thought I’d share a few facts and figures from our six days on the bikes. We spent 24 hours in the saddle, which is rather appropriate as our cycling was centred around Le Mans, famous for it’s 24 Hour race. We pedalled a total distance of 455km. We travelled east, south, north and west and whenever there was wind, it was blowing against us. We climbed a total of 2,768m, which is twice the height of Ben Nevis. We burned an additional 16,611 calories, which we had to make up by eating well along the way. We had 7 croissant-heavy breakfasts, 3 afternoon patisserie stops, 4 picnics and 3 cooked lunches, as well as generous evening meals. We carried 18kg of luggage, split 3kg for me and 15kg for Adrian, but the additional information and gifts from the tourist board along the way added an extra 2.5kg to Adrian’s panniers! We visited 1 cathedral, 1 abbey, 1 vineyard, 1 Plus Beaux Village de France, 2 gardens and 4 museums. We followed 4 rivers, the Sarthe, the Loir, the Huisne and the Vègre. I completed the week with no punctures, but I did wear through my rear brakes. It was tiring at times, but exhilarating too and I’m pleased to report I did it all without Big E (my photosensitive epilepsy) getting in the way. It was all great training for Adrian and his Ride London Surrey 100 that he will be doing this July, but even our longest days were only half of the distance he will be covering in one day. I know that would be too much for me, but if you have enjoyed reading about our adventure and would like to donate a small amount to our Just Giving page for Epilepsy Action, it would make us both very happy, thank you. I will be writing more this week, especially about some of places we visited and the sights we have seen. 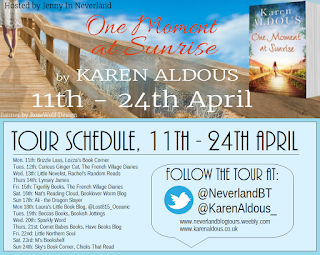 Welcome to ‘France et Moi’ where this week, as part of her blog tour for One Moment At Sunrise , I am talking to author Karen Aldous about what France means to her. Karen enjoys village life on the edge of the north-downs in Kent with easy access to the buzz of London. Not only does she love the passive pleasures of reading and writing but craves the more active pursuits, walking, cycling and skiing especially when they involve family, friends, food, and…wine! Much of Karen's inspiration comes from her travels. The UK, France, Switzerland and USA are just some you’ll be transported to in her books, but wherever she goes, new characters invite themselves into 'Karen's World' screaming at her to tell their stories; strong independent women who are capable of directing their own lives - but struggle to control them...especially when temptation strikes! Karen: Thank you so much for inviting me to your blog. Yes, I simply adore France, it is extremely alluring and I love that the regions and landscape can be quite diverse whilst retaining that French ‘ambience’ which I think is what I’m drawn to. 2) How does France inspire your writing? Karen: It’s rather like the itch of writing – it’s just in me. It speaks to me. France has something magical about it, which excites and inspires my fingers; its, culture, landscapes and the light, particularly as you go south. I love its simplicity and diversity, from sunny beaches to stunning hillsides and vineyards to skiing in the Alps. I think it’s a love affair I couldn’t ever give up! 3) When you are writing about France, are you able to write in France and if so do you have a favourite location? Karen: Me and France are like pen and paper; we go together. Yes, it’s so easy to write there because it’s so inspiring. I would live there tomorrow if my heart would allow me to leave my family. It’s mostly notes or scenes that I write when visiting but I always have my laptop if I need to work. Provence is heaven on earth, it’s so beautiful and its villages and markets are just divine. Provence, Mougins, Canal du Midi, Dordogne, Burgundy vineyards, are among my favourites but this list could go on. 4) The French love their patisseries, what is your favourite thing to buy in a Boulangerie/Patisserie? Karen: I love their rustic loaves, seeds or cereal, so tasty – and of course, a fresh croissant. Karen: Oh, the French Savoyard Tartiflette is high on my list of favourites. Not the healthiest of dishes but irresistible with all those alpine cheeses. It’s worth a hard days skiing just to indulge. I also love a Paysanne salad, although not necessarily regional, for me it exemplifies the country with its explosion of colour and taste. Karen: You know how to make my mouth water! I would say I’m a soft, fresh and lively goats cheese – it livens up any dish for me. 7) Can you describe your perfect French apero for us the drink, the nibbles, the location and the company? Karen: The combination of sunshine, olives and a cool Rose wine is tres seductive especially on a balmy evening sitting on an outside terrace with hubby overlooking Provence and the Med. Then of course, the Apres ski Vin Chaud. Karen: There are still so many to visit but Cannes has to be up there with the best. I like to stay in the Place Gambetta, close to the market and among the community, just a short stroll to Rue Antibes and the railway, which gives access to all the coastal resorts. 9) If money and commitments were no object, where in France would you like to own a property and what sort of place would it be? Karen: Money no object, I would have two, I’d love to live in the cosmopolitan atmosphere of Cannes in a small but beautiful apartment with a sunny terrace but also, have a villa with a stunning view across the hills and sea, so somewhere like Mougins or Grasse. Karen: I’ve just returned from a ski trip in the French Alps but there’s a good chance I’ll be back some time this year. Finally, do you have any current projects you would like to tell my readers about? Karen: I do have a couple of projects but I won’t commit until I know what is next. Of course, the setting will be beautiful and is likely to include lakes or mountains. To read my review (and enter the giveaway) of her latest novel One Moment at Sunrise click here. All of Karen's novels are available in ebook format from Amazon. 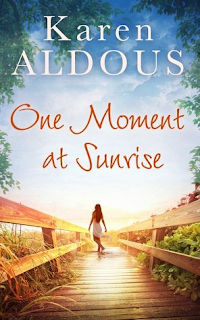 Synopsis: Escape to the south of France with the irresistibly compelling new story from Karen Aldous – the only book you’ll need this summer! Yet when a mysterious stranger almost knocks Evie off her bicycle early one morning, her world begins to change in ways she never expected. Embarking on a painful journey of self-discovery, Evie begins to face her darkest fears and shatter her fragile dreams. But can she ever truly break free from her gilded cage and learn to love again? This book is a good mix of smouldering passion and romance, with interesting history snippets and the serious issues of life in a controlling relationship. It begins with sunrise on the Canal du Midi in France and Evie is furious. Her emotions are out of control as she peddles away her frustrations, when suddenly it is her bike that is out of control and that leads to a chance meeting with Ben, the catalyst to dramatic changes in her life. Ben is a filmmaker, in the area to shoot his film about the remarkable construction of the Canal du Midi, and also the cause of her accident. Her close encounter with Ben awakens the spark of life that had been missing since her famous partner Seb had her hidden away from the world. Evie and their daughter Charlotte are his dirty secret, kept shut away in rural France with no control over her life. There is a real dark side to this novel and nothing likable about her partner Seb, right from the beginning of the book and things just get worse as the story moves on. Evie is an independent woman, like many of the main characters found in Karen’s novels, but she has to learn to become strong, find herself and create a safe future for Charlotte. It takes the shock of her accident and meeting Ben for her to discover this. With Ben and Evie there are sparks of passion, this is a chick-lit after all, but the risks are too great for either of them and their feelings just have to simmer. When another crisis hits Evie and she finds herself alone and trapped she learns to think for herself and she awakens after almost three years of dormancy – a modern day sleeping beauty, awaiting the kiss from her prince. Is she strong enough to break free from Seb, what will he do and how far will he go to keep in control? There is a secondary plot to this novel that adds another level of interest, the history of the Canal du Midi and the peasant women from the Pyrenees mountains whose knowledge of diverting and channelling water to their mountain villages was used to help in its construction, although their story remains largely unknown. Having holidayed near Beziers, some of the place names were familiar, but Karen’s writing meant I found it easy to visualise the Canal, life along it and the canal side cafés. I also enjoyed learning about these strong women from history. This novel is a great holiday romance that includes family drama, hurt and deceit, but where love shows its true strength in the end. Karen gets much of her inspiration from her travels and if she had to choose, France, Greece, Switzerland, Italy and the USA would be her favourites. However, wherever she goes, she discovers a new character emerges in 'Karen's World'. She likes to write about strong independent women who can direct their own lives - but struggle to control them! And, of course there's always a gorgeous hunk or two! Just click on the Rafflecopter link below to be in with a chance of winning a £15 Amazon Voucher and a copy of the book as first prize and a copy of the book as second prize. Good luck! 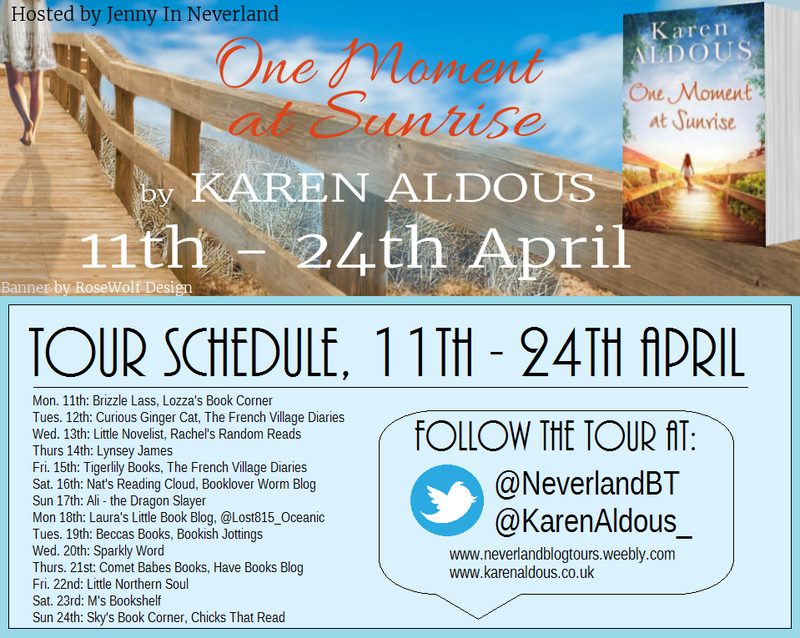 Don't forget to pop back here on Friday where I will be interviewing Karen for my France et Moi feature. 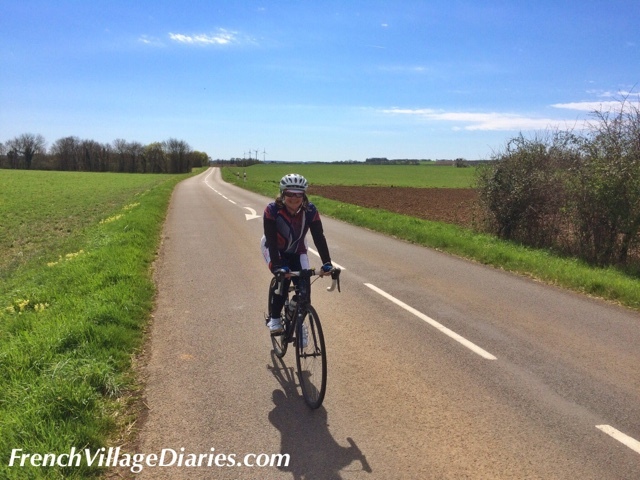 We have been out and about on our bikes today, finally clocking up some kilometres to practice for our trip to La Sarthe, and not before time, as next Sunday (also our 18th Wedding Anniversary) we will be on our way. A few months ago I was sure that by the time we reached 'one week to go' our legs and sitting bones would be bike and saddle ready, however things haven't quite gone to plan. Cycling has had to be squeezed in around Adrian going away for work, cold and flu bugs that kept us tucked up indoors and weather that wasn't too wet, too cold or too windy. Last weekend we managed three bike rides, this weekend it's only been one, but despite a busy schedule, this week we will have to be out on the bikes - whatever the weather. We have also been playing with our panniers. As you can see, Adrian will be carrying the bulk of the gear, which is very generous of him, although I think he is worried I'd be slower than a snail if I was cycling fully loaded and he is probably quite right. If you look closely you will spot an unusual bottle carrier that we will be taking with us. The plan is to find a local bottle of wine (possibly direct from a vineyard) during the afternoons that we can enjoy as our reward when we get to the hotel each evening, assuming we remember to pack the bottle opener. One of our bike rides this week will be a practice run with the panniers, just to make sure the extra weight isn't going to cause any problems. 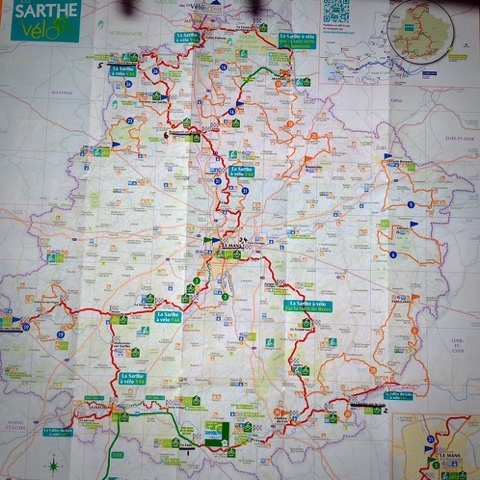 I'm really looking forward to exploring La Sarthe by bike and discovering the delicious delights this region (and its patisseries) have to offer. We have become quite the talk of the village with most people thinking we are slightly mad setting off to cycle 420 km in a week. There has been lots of sniggering about sore bottoms and the wet and hilly north, but I've also been told that the area is famous for its rillettes (rich pâte meat) that I'm sure with a baguette will make a tasty lunch. The final countdown is on, I've just got to finish the quarter end accounts, spring clean the house, post a book review and an author interview and write my monthly column for The Deux Servres Monthly magazine, then Adrian's parents will be arriving and we will be ready for the off. Welcome to April, one of my favourite months of the year. The blossom has burst, the swallows have started arriving, the vegetable seeds for the potager have germinated and life after winter has begun once more. Yippee! It’s time for a celebration and what better way than with a road trip in France? However, this one will be a little bit different to our previous road trips as this one is a 420km bike trip, leaving in less than two weeks time, gulp. We are heading to an area we know very little about, La Sarthe, home to Le Mans; famous for it’s 24 hour racing event and somewhere we have occasionally breezed into of an evening, eaten, rested and set off again early the next morning. 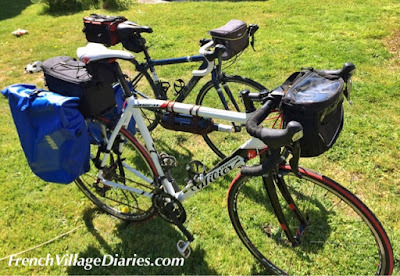 This time, as we will be touring on our bikes, we should get to see and enjoy more of what this area of France has to offer, although with some days promising to be 90km long I don’t think Adrian will let me dawdle too much. The discovery of a new area is the exciting bit, the challenging bit is that for the first time ever we will be on the bikes all day for three days, have a rest day in Le Mans and then get back on the bikes for another three days cycling. The brochure from the tourist office is titled “La Sarthe, Créateur de rêves” (creator of dreams) and for me that is certainly true as it’s always been my dream to do a real cycling tour; stopping somewhere different each night, with my possessions neatly packed in panniers and having a real adventure. Normally a big part of a road trip for us is the planning. This time that has been taken care of by the tourist board in La Sarthe and it has been quite strange leaving this aspect up to someone else. Someone who doesn’t know our abilities, or us, but who does know the area very well and what she would like us to see. Thankfully, although we were given our start and end points each day and a suggested cycle route for getting between the two, Adrian has still been able to take final control of working out exactly where we are going and saving all our routes in advance on his Garmin. 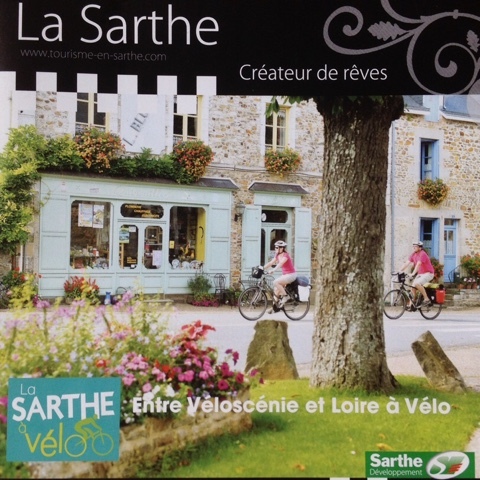 La Sarthe à vélo has 420km of marked cycle paths that join the two better known French cycle routes the Véloscénie (from Paris to Mont St-Michel) and the Loire à Vélo (cycling along the River Loire and in the Loire valley). We will be starting on the river Sarthe in Sablé-sur-Sarthe, cycling east to the Loir (not Loire) valley, where we will spend a night at Le Lude and La Chartre-sur-le-Loir, before rejoining the river Sarthe in Le Mans. 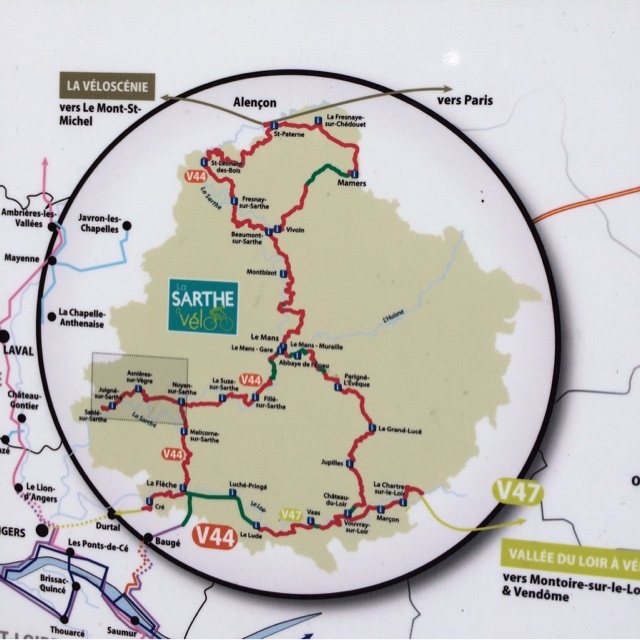 After two nights in Le Mans we will continue north with the river Sarthe towards Alençon, with one night in Saint-Leonard-des-Bois and our final night in Beaumont-sur-Sarthe. Adrian has also researched and sourced our panniers, as we didn’t have any, and has kindly volunteered to carry most of the weight of our baggage on his bike. He has also been looking closely at energy bars, gels and drinks that can be packed to keep us going between meals and patisserie stops. All I need to do is follow him, try to keep up and save enough energy to write about our experiences every evening for Freewheeling France. I can't wait, but with the excitement there is a nervousness too. As I mentioned in my recent post about epilepsy (see here), I know I am not invincible and so we will be careful, we will be fully fuelled up at all times and obviously I will have Adrian by my side (or more accurately slightly out in front of me). It will certainly be one of the biggest challenges I have ever faced on my bike, but I’m determined to do it. Big E will not beat me! If you would like to support me in this challenge your donations to our Just Giving Page where Adrian and I are raising money for Epilepsy Action would be most welcome. Thank you and I hope you will enjoy following our adventure. 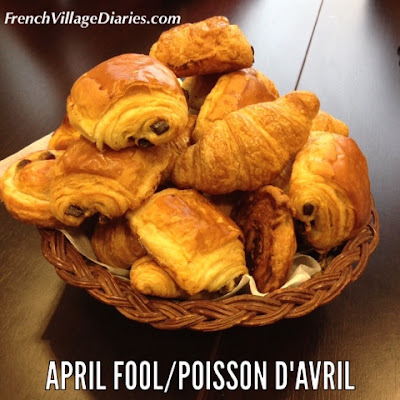 Much as I would love to see every village in France with an open boulangerie, especially when I'm cycling and desperately searching for a croissant or tarte aux fraise, my post yesterday about the new law in France, see here, was an April Fool!